Characters in fantastical settings teach preteen readers about the value of forging your own way in life. 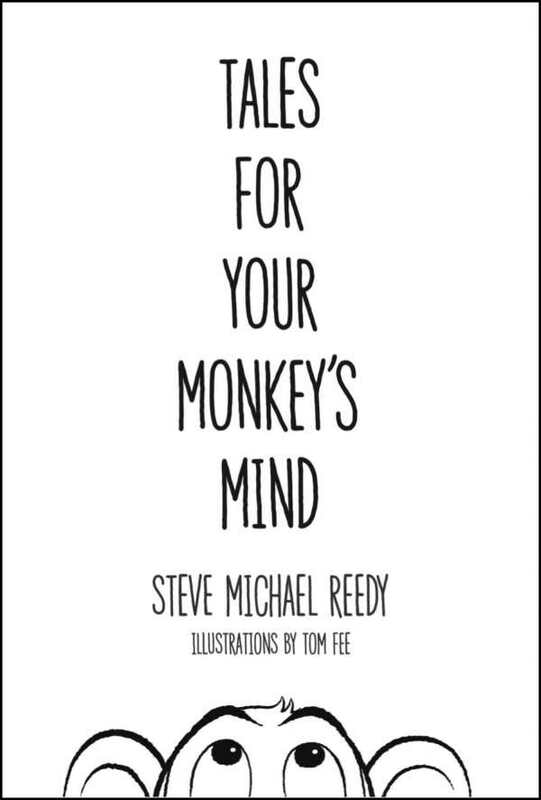 Steve Michael Reedy offers fables and fairy tales that are at once timeless and contemporary in his story collection Tales for Your Monkey’s Mind. Reedy takes elements of classic storytelling, such as witches and magical storybooks, inserts clowns and a few other surprises, and makes all of these elements relevant to pre- and early teens, delivering stories in an often-rhyming text that is delightful to read. Reedy’s protagonists are boys and girls who are just beginning to discover their own independence, and who are learning that they must choose their own paths through life. The main characters of each story challenge the expectations they’ve been born into. In one story, a girl named Angela learns to focus on living life as everyone around her obsesses over the castle-tombs in which they will eventually be buried. In another, Jessica lives in Clown Town, where everyone but her aspires to be a clown. The morals of these stories are clear, but challenging for young minds. Your shirts should be stiff, your collars constricting; your feet should feel pain that your shoes are inflicting. Your pants should feel rough, not comfortable at all, and itch quite a bit as you sit in your stall. A noose must be tied at all times from your throat, or we’ll send you outside to be kicked by a goat. We’ll always be watching, so never forget. It’s not just a warning; it’s also a threat. These glimpses of the hazards and darker aspects of life, laced with humor but made no less potent for it, combine with a sense of the fantastic in a work that will strike resonant chords in children and adults alike. Tom Fee’s illustrations are perfectly suited to Reedy’s stories, with enough detail to aid eager imaginations, but not so much—children’s faces are shown only in silhouette—as to spoil the need for readers to invest themselves. Tales for Your Monkey’s Mind is a wonderful book for readers of any age, but perhaps especially for those in the ten-to-thirteen age group. Its stories address the uncertainties of preteen years in age-appropriate language and style. Tales for Your Monkey’s Mind could prove to be one of those rare juvenile fiction books that survives adolescence to one day be read fondly by (or to) another generation.